Is Your Roof Prepared for Spring? – Our Partnership with Owens Corning! Before we can enjoy May flowers, we must endure April showers. Spring is a rainy season for this area, and April showers can be especially tough on your home’s roof. Rain can make your roof more susceptible to leaking and water damage. Having a strong, leak-free roof is essential to avoiding water damage in your home. Many homeowners choose to investigate roofing replacement in Northern VA in hopes of preparing their roof for spring. Sometimes it is difficult to tell whether your roof needs fixing or replacement. Often, roof leakage has other signs besides obvious water dripping. Spots on exterior walls: If there is spotting under your outdoor roof line, you may have a leakage problem where the roof meets the wall. Signs of water damage in this area may point to problems with your roof’s flashing and water protection areas. Missing shingles or debris in downspouts: Finding shingles or debris in downspouts is a sign that your roof may be losing material. Patchy roofs are more prone to leakage and water damage. Finding debris in your downspouts is a sign that you may need roofing replacement in Northern VA, especially during our area’s rainy season. Water stains: Stains come in many different shapes, sizes and colors. They also can be seen in harder to spot places in the house, such as dimly lit basement corners. If you find water stains in your house, this is a telltale sign of potential water damage to your roof. Mold or moss growth on exterior walls: Excess moisture can develop if you have water damage. Moldy or mossy walls can be signs of this damage. This damage is usually caused by a problem with your downspouts or gutters, so water cannot flow correctly. HB Home Services professionals are the Northern VA roofing replacement experts. Before beginning any services, we inspect your roof to ensure we provide you with the highest quality and efficient service. 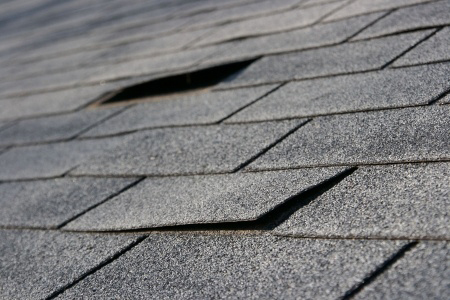 We provide shingle removal and replacement, ice/water shield installation, ventilation, drip edge and flashing. We offer these services through our preferred vendor, Owens Corning. Owens Corning is HB Home Services’ preferred vendor. We chose Owens Corning to provide expert roofing repair and installation for our valued clients because their company is more than just shingles deep. They take pride in offering their layered Total Protection Roofing System to create a waterproof barrier, defend against nature’s elements, and let your home breathe for balanced attic ventilation. They also offer a variety of shingle styles and types so you can choose the best option for your home. Owens Corning’s dedication to high quality roofing systems, superior customer service, and dedication to protecting your home against water damage make them our preferred service provider. We are proud to partner with them to ensure excellent roof protection and quality Northern VA roof replacement. HB Home Services is dedicated to going the extra mile for your roofing needs, alongside our partner Owens Corning. Don’t get caught in the rain with a leaky roof this spring! Trust HB Home Services and Owens Corning for a strong, leak-free roof. Contact us online or call us for a free estimate at 703-764-0498!